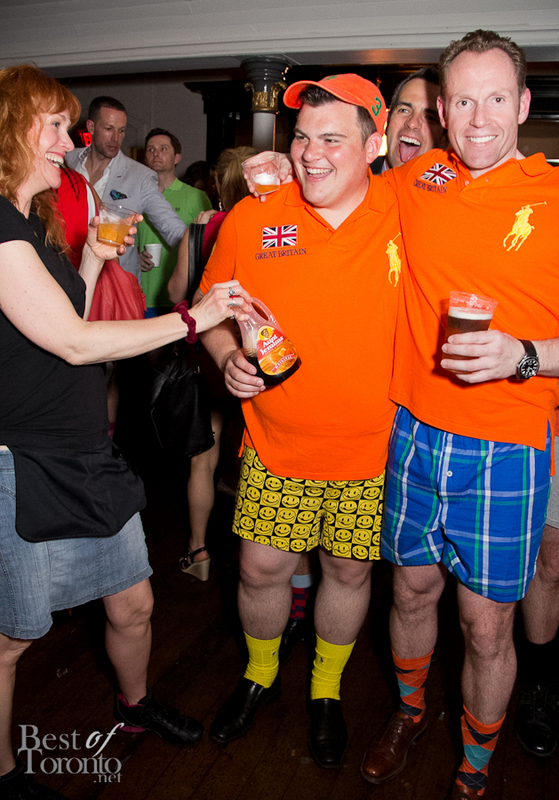 This year’s 4th annual Pants off Party had the theme of Golf & Country Club with people looking stylish in their country club clothes and no pants. It took some adjusting to walk into the Berkeley Church where you’re the only one wearing pants at a pants-off party. So I found the coat check where they politely check in your pants. This is when supermodel Stacey McKenzie said hi to me. So I awkwardly took my pants off in front of her and handed them in for check-in (no looks of disgust at all!) and went on my way. Bright and colourful boxers and snazzy, argyle socks were available for sale at coat check. Such a great idea. After that it was a fun, all-out pants off party. Guests enjoyed food stations such as beef and chicken skewers from the Duke of Devon and smoked salmon crisps from Pravda vodka bar and meatballs from Woods. 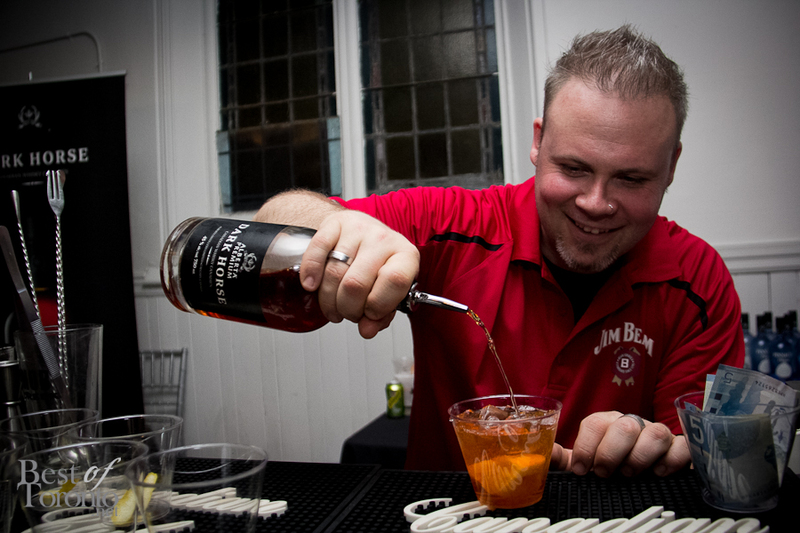 It was good to see our favourite mixologist friend, Matt Jones, making some great cocktails. Shoe shines from John Allans were available as well as video games and a silent auction. There was a green carpet for photoshoots and DJ PG-13 playing tunes all night while guests danced the night away in their underwear. It’s quite an experience that you should probably try just for fun. All in the name of prostate cancer awareness. Thx for gr8 night and my white legs display!RT @PantsOffToronto: Guess who just arrived, @peloso1 of the @MarilynDenisCTV show!! Pants Off for Prostate Cancer is an edgy and innovative fundraising event that continues to provide guests with memorable evenings in support of the prostate cancer cause. As we put the focus on the below the belt nature of prostate cancer, guests are required to check their pants at the door and celebrate their new found pantslessness in support of prostate cancer research and awareness and in honour of the hundreds of thousands of men and their families whose lives have been afflicted by this disease. Prostate cancer is the most common cancer to afflict Canadian men. 1 in 7 will be diagnosed with the disease during his lifetime – a number expected to rise to 1 in 4 within a decade. Nearly 25,000 Canadian men and their families will face a prostate cancer diagnosis this year alone. The good news is that over 90% of prostate cancer cases are curable if detected and treated in their earliest stages, which means that early detection is key. As of age 40, men should have the prostate cancer discussion with their doctor. All proceeds from Pants Off Fore! will benefit Prostate Cancer Canada, which is leading the way in the fight against prostate cancer. For more information on Prostate Cancer Canada, please visit www.prostatecancer.ca.